A LOT. We’ve been adding some new control mechanics, new minions, and boss work. We spent a good deal firming up much of the code base. With a focus on iterating and adding to the tools to support our world building as well as building out the AI for our new minions and bosses. We’ve also taken big leaps in our character control mechanics. We also took another pass on our sky. 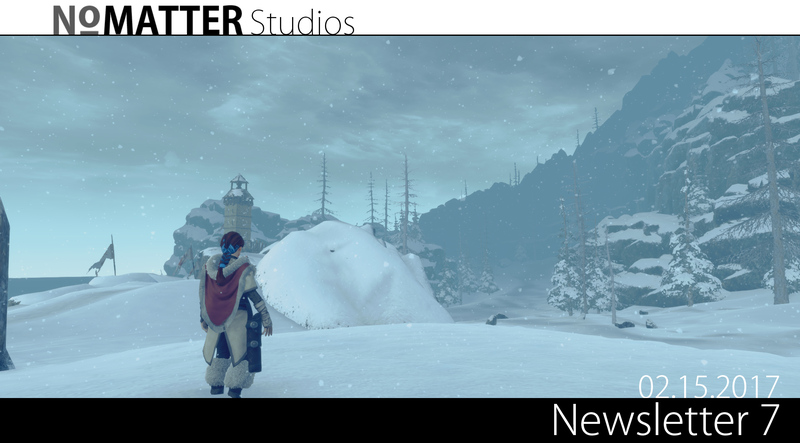 We did a fairly large pass on our lighting and sky right after we announced open world. It’s much more dramatic, and fits the mood of the game well. We like where it’s headed now and we intend to continue to tweak it when we’re polishing. Sure! With our character controls we’ve spent time tuning and making the character feel as solid as possible. A big part of what we went back and forth with was allowing her to jump. Platforming is something we’ve been interested in, and with our initial climb and pre-alpha we found the world to be pretty fun to get around but deep down we felt something was missing. I know I know, you are probably thinking. WTF IT’S A NO BRAINER! However, integrating jump with our climb tech on moving enemies is no easy task. The great news is that it’s working and it feels great. We also added substantial work/rework to the characters pendulum system where she will swing and shake depending on her climbing angle and the bosses momentum. Another thing we added was swimming. Initially, we planned for water to be pretty simple where the player simply couldn’t go into water above her waist. However, deep down it felt pretty lame that the player could climb an epic beast but touching deep water killed them?! Plus, with some boss designs, it became apparent that we really needed an ability to swim. However, it’s not something you’ll want to do for very long as splashing around in frigid water can quickly cause you harm but it no longer will instantly kill you. Yes. We put a pause on streaming on Twitch in December. Sorry!! At some point, we knew we’d have to tackle some spoiler type work and for the last couple of months it’s been just that. Working on the new minions as well as some key things dealing with bosses. It’s a bummer and we hope to get back to a regular streaming cycle soon. At the very least, we’ll continue the team stand ups where we’ll answer questions and discuss the state of the game. Also, a large amount of effort has gone into the crow/bird boss and our third boss. This beast has been an entirely new system of AI. However, we also did a full pass on what we call the “Yeti boss” which is really our bipedal system for bosses. This latest pass on the Yeti feels great. We went back an expanded his combat, and how the player interacts with him. This was important as the systems we build out for each boss is something we will use again and again. This means making another bipedal boss or a flying type boss will be much easier/faster etc. What does all this mean for development? So development as a whole has been solid. We took a hard look at our core mechanics and opted to take some additional time to refine the areas we felt needed work. We had been pretty frugal with our character movement leading up to the Kickstarter. While this worked great for the pre-alpha, once we fleshed out the open world we wanted the player to have more freedom with exploration. With jump in as well as swim the player movement and exploration feel vastly improved. It feels pretty awesome leaping off a cliff and then grabbing onto a pillar that seems too far to reach. Or climbing around a massive column then dropping into the water below and swimming into a cave. The amount of freedom is worth the work we put in and then having this work on bosses creates a much larger range of gameplay than what we had prior. That being said we are still tuning jump/swim before we’d call them complete and polished. What’s exciting is even in this early state it feels solid, and plays well. On the Twitch stream a while back, we mentioned that we were demoing a new fur shader. While we had our own internal fur shader, we were always looking to improve it. However, we discovered this other shader was delivering on just about everything we were looking for. It’s called NeoFur and was in beta at the time we had to wait until it was released before showing off the progress. The fur is pretty sweet as it reacts to our wind/weather, it also reacts to the player moving around on it as well as some other cool stuff. We’re rolling this out to the bosses as well and the results are pretty amazing especially at run-time. On the Twitch stream a while back, we mentioned that we were testing a new fur shader. 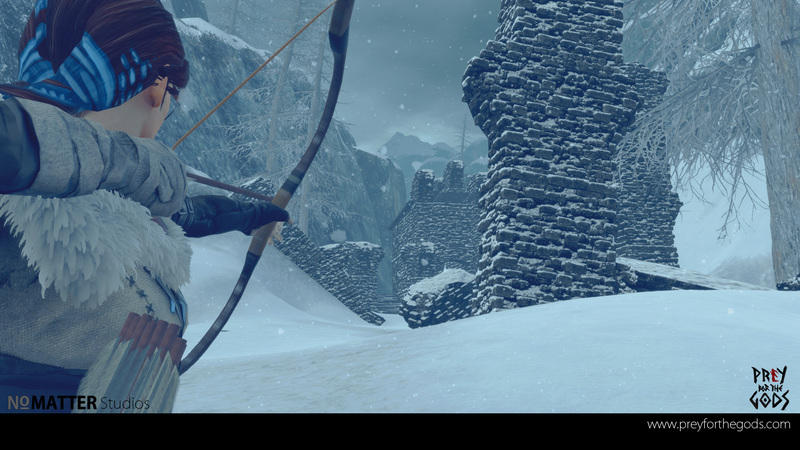 While we had our own internal fur shader, we were always looking to improve it. However, we discovered this other shader was delivering on just about everything we were looking for. It’s called NeoFur and was in beta at the time we had to wait until it was released before showing off the progress. The fur is pretty sweet as it reacts to our wind/weather, it also reacts to the player moving around on it as well as some other cool stuff. We’re rolling this out to the bosses as well and the results are pretty amazing especially at run-time.